My fourth baby is quickly growing out of her baby days. It is a bittersweet fact for me: I am already missing the newborn days! What I am not going to miss though is the sleep deprivation, the physical discomfort and living in a “survival mode” for months. Each baby is different, and so is each parenting experience. In fact, all four of my experiences were different. I want to share the lessons I learnt, and I hope they will be helpful to some parents who are going through the newborn stage. I wish I knew this when I had my first baby! 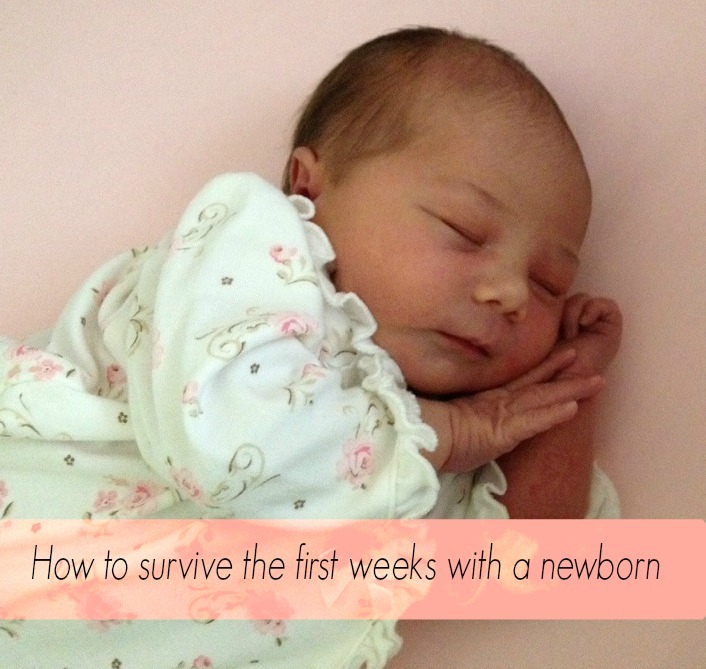 These tips won’t make the first weeks with a newborn painless, but they really helped me to feel human (as opposed to a zombie). Things like stocking up on household supplies, getting everybody’s hair cut, or finishing a house project will make a big difference when you have no spare minute to run to the store for some toilet paper or laundry detergent. I had organized the kitchen pantry and cabinets to be able to find what I needed easily–any small thing to streamline and simplify daily routine counts! It was important to me to eat well, and it had to be done with near zero time for cooking. Before the baby was here, I had prepared and frozen several family-size meals, as well as stocked up on good quality freezer meals/ingredients. This step alone was a life saver! I loved this system so much, I have been continuing it ever since. You hear all the time that you should sleep when the baby sleeps, and it is true. The thing with a lack of sleep is that the less you sleep, the harder it is to fall asleep, due to the brain activity and chemistry. Except I am one of those unlucky people who just can’t switch off for a nap. I would get frustrated about that and make it even harder to relax. Then I decided to make an effort to just lay down and relax as much as possible. That was much better than no rest at all, and made a difference. See #2. It is natural to forget to eat when you don’t have a minute to sit down. As a result you get famished and want to eat the first thing in sight. That’s when home-made pre-cooked meals came handy. I also used a lot of speedy recipes like soups, wraps and sandwiches. I had tea throughout the day and a cup of coffee in the morning. I know that opinions on caffeine differ. I was not functional without caffeine, and I found that it did not affect my baby’s behavior. I limited the amount of sweets I was consuming, which was a big deal for me. It was very tempting to give in using breastfeeding as an excuse. If you are interested in getting back in shape, sweets overload is not your friend. It was very tempting to keep the baby in my bed and snuggle nodding off. The crib was right next to my side of the bed, but even making that one step was hard. But I knew I wouldn’t be able to get a good quality sleep because I will be afraid to squish her!I was much better rested, and the baby slept better, when I made myself to move her to the crib after I fed her. I think it also was instrumental for the baby learning to sleep through the night early on. We used a bassinet that we found on Craigslist for $15 as a transitional crib– it was compact enough to fit right alongside my bed. I read a ton of literature on baby care, and listened to a ton of advice from older, more experienced women in my family. I found some advice useful and some not so much. Above all, I think it is very important to go with your parental gut feeling, and observe your baby: study her signals. There were a lot of things I did that are advised against, like putting her to sleep on her tummy. I did my research, and made my own choices, and was happy to see that my choices were correct. I did not do that with my older kids, and wish that I had been more persistent in following my gut feeling the first time around. I did not use a lot of baby care paraphernalia this time around, because my previous experience showed that only a handful of baby care products are really must-haves, and the rest is mostly “for fun”. The monitor was one of the useful items that was totally worth the money. 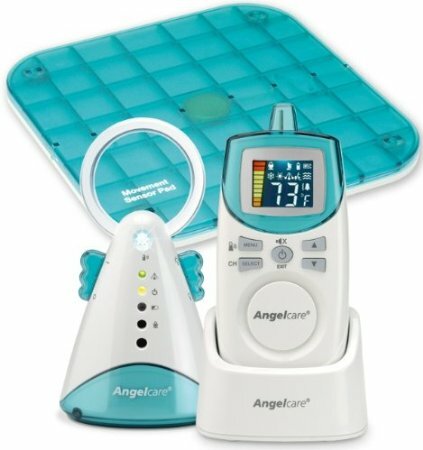 When we started putting the baby to sleep on her tummy, it gave us additional peace of mind: it goes off when it doesn’t detect movement, including breathing. When my world became a whirlwind of feeding, burping, pooping and changing, I was craving some sort of order. One doable way to get a sense of order was making the bed each morning, and washing bed sheets every few days. I also made sure not to let baby care stuff and toys multiply around the house. The easy way to make the house look more or less clean was to use baskets to throw things in. It was a small thing, but it helped my sanity in a big way. Just the basic stuff, not talking about applying make-up every morning! I hear the adage of no time to shower all the time, and I don’t buy it. You can always find 5 minutes to shower and put on a clean shirt. I wasn’t making time for it with my older kids, and I felt like a wreck! It really does something to your spirits when you catch your disheveled reflection in the mirror, messy hair, dark circles and all. I went and got a haircut that was easy to style ( I had washed my hair at home to save time at the hair salon, they didn’t mind). I also made sure my clothes fit well. Again nothing fancy, no special nursing tanks. Just comfortable and presentable. I was more inclined to come out and face the world when I knew I looked nice, as opposed to wanting to hide in my cave looking like a mama bear. I did not have enough energy to to resume my pre-baby life style, nor did I want to divert my attention from my (growing up too fast) newborn. That said, I made a point to do what I enjoy doing, just in little doses: I baked, and I read (a paragraph a day sometimes, before I would pass out). Anything that connects you to your world, even in small doses, does wonders to your sanity. I do not claim to know all the answers to baby rearing, and I don’t think there is one answer fit for all. This is just my personal experience and the lessons I learnt raising four babies. No matter how you go about the first weeks and months with a newborn, they will pass before you know it. As much as it is of a cliche, it is true. So, above all, don’t stress out about “not doing it the right way” and enjoy your precious little one! If you have some tips for new parents, please share in the comments: I am sure every little bit helps! If you know somebody who might be interested in reading this, feel free to spread the word using the buttons below the post. All great advice, Mila. It seems like so long ago, and yet, like yesterday that i was in that phase!